I hammer textured a tiny circle disc of Argentium Silver, to resemble raw silk fabric. 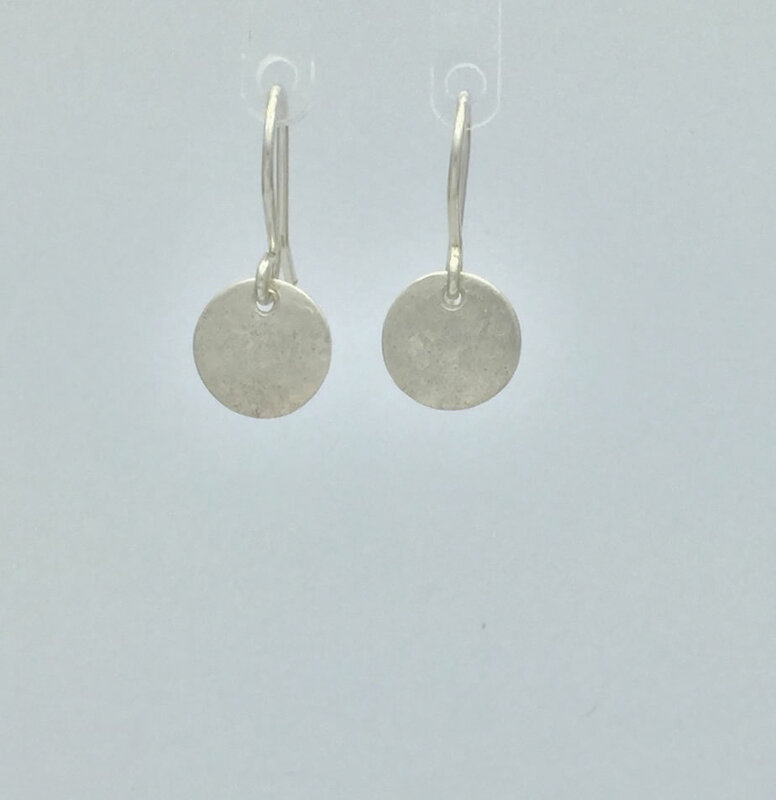 A very light patina and a soft, brushed surface finish this understated earring. Hand forged sterling silver ear wires in a simple French wire design.